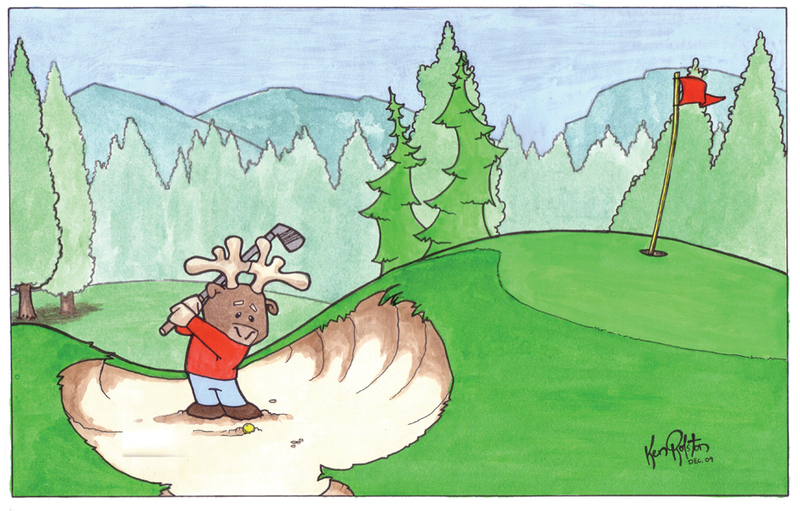 Golf, hockey and finally lacrosse, I finished ‘moose lacrosse’ just before Christmas. It wasn’t actually a Christmas present, it is the last of three paintings I did for my little nephew’s room. It had been so long since I’ve painted anything by hand, I felt like i had forgotten how to paint. 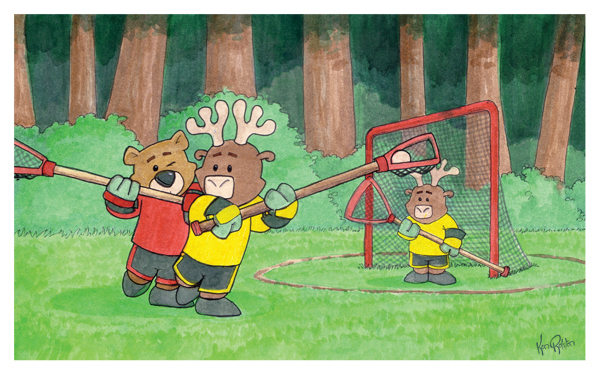 ‘Moose Lacrosse’ was painted with ink washes on illustration board. 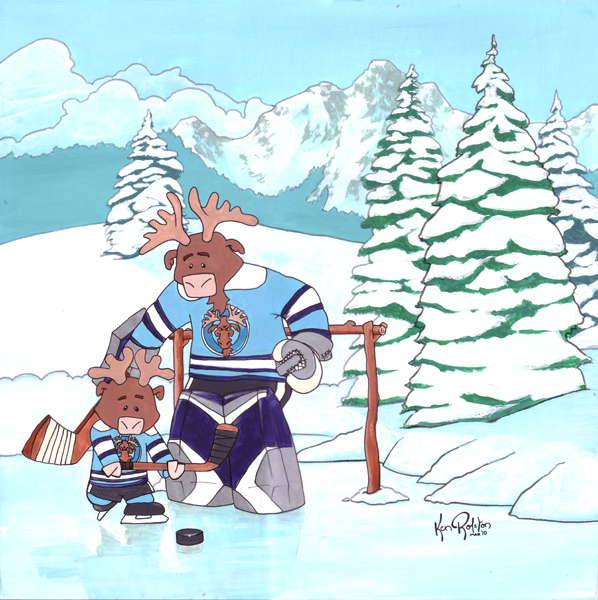 Is there anyway to buy a print of the Moose Lacrosse painting? Unfortunately I didn’t make a print of the Moose Lacrosse painting. I would be happy to revisit the theme again if you’re interested in a print.